You hear both words frequently, but what do they mean? Many positive affirmations will be given to you in class so that you can attract positive energy and opportunities into your life. You will also learn which negative thoughts you keep alive by keeping them alive in your everyday conversation. For example, "I am afraid of ________." "I am worried about __________." Or "What if _____________????" We will easily turn negative thoughts into positive patterns for a more stress free life. How does meditation work and how do I do it? A brief meditation will be done in class to show you what it is all about. This is the Angel Workshop where all will be guided in a spiritual meditation before getting into discussions of how to contact your own guardian angels and how they can help you materialize positive opportunities and positive energy in your life. She will also discuss how to find out your angel's name(s) and how to actually listen to his/her guidance. This can be held in Vikki's Butler, NJ home or at your home with a group of 6 or more guests. Be ready to write down issues that you need resolved or problems that you want to give to your angels for resolution. 570-215-4223 - email her for directions. Tuition: $65 by cash or check which includes handouts and supplies. Please bring snack to share. This is an informative Beginner's Astrology class which was taught in the spring of 2010 at Fairleigh Dickenson University as one night of their total metaphysical/philosophical program. The Power Point presentation gives much information about the signs, elements, houses, glyphs and has plenty of astronomical information about the planets (i.e., their size, distance from the sun, time in each sign, etc.). The presentation will also point out the compatibility of sun signs so you will understand which sign gets along with another or not. Fun course, but be ready to write down important information for your use. This is usually a two hour (or more) course. Vikki will come to your home for a minimum of two hours at a cost of $250 plus $25 for transportation fee. Any level student or professional is welcome. I will also go over your chart with you so that you comprehensively understand your own chart and we can also do progressions for your year ahead or for those of your family. Two hour session in my Albrightsville, PA home. We can study anything from learning about the signs, aspects, planets and houses to reading your chart or those of your family for characteristics or upcoming events. $100. This usually runs from 10:30 AM - 4:30 PM. Learn the basics of Feng Shui from the areas of the bagua to simple cures you can do as soon as you return home. Very informative and productive workshop with tons of information and handouts. Learn how to make your space comfortable and more relaxing to you and your family. Also, help your space bring in the positive energy and opportunities you deserve. This is one of the easiest ways to ensure your good health, wealth and happiness, so why not register your family, friends or organization now at 570-215-4223. We can work out a mutually convenient date for your workshop. $80 fee each participant. 4 people needed for this class. You can learn about the bagua (floor plan) and how to find each area in your home, apartment or office. Once you accomplish this, it will be easy to get the proper colors, elements and shapes into each area of your home so that you can benefit from the positive chi flowing throughout your space. 2 hours. $150 fee. Learn many of the Feng Shui secrets and cures to bring health, wealth and happiness into your life and those of your family and friends. Easy to understand suggestions for changing your life in a very positive way. 2 hour course. $150 fee. Learn quick and easy Feng Shui tips and cures that you can do as soon as you leave the workshop. Many questions will be answered about participants' own homes or apartments. Fun and lively course with a lot of good information that you would not get anywhere else. This course usually runs 2 hours. $150 fee. Handwriting analysis has been used successfully for centuries. Today, many colleges, universities and companies ask that applicants hand write certain parts of their applications for this very reason - their handwriting is analyzed! Handwriting experts are called in to help with many lawsuits or courtroom cases to see if someone had actually signed his/her name to a contract or if a note was written by the person in question. It can tell a great deal about a person by the way in which (s)he writes various letters, the slant of the writing, spacing between letters and lines, size of letters and if letters obscure other letters. It can show if you are logical or creative, assertive or shy, etc. It has many applications. This is a stress free, fun class in which you will be asked to copy a sample paragraph in your own handwriting so that you can follow along with the instructor to find out different characteristics about yourself through your own sample script. Printing is not considered handwriting, so be prepared to use script in class. Introduction to Palmistry. Palmistry is the art of reading the lines on your hands that correlate to various aspects of your personality and health. Did you ever wonder what these lines mean? Vikki will give you a basic introduction to the most popular lines on your hand and discuss their meaning. This is an interesting and fun class where you will draw the lines of your hand on a paper hand pattern so that you can follow along and figure out a few things about your basic personality from the lecture. Bring paper and pen for notes. Call Vikki at 570-215-4223 to arrange an appointment or for further information. $100 for a two hour session. Learn how to delineate the cards easily and accurately. This is a real fun course in which you will learn a lot about the cards and how to help others and yourself with your concerns for the future. Included is a Rider-Waite deck, a silk pouch and crystals. Everything you need to start reading tarot cards seriously. This course usually runs from 10:30 AM - 4:30 PM and has a fee of $80 per person, which includes all supplies. 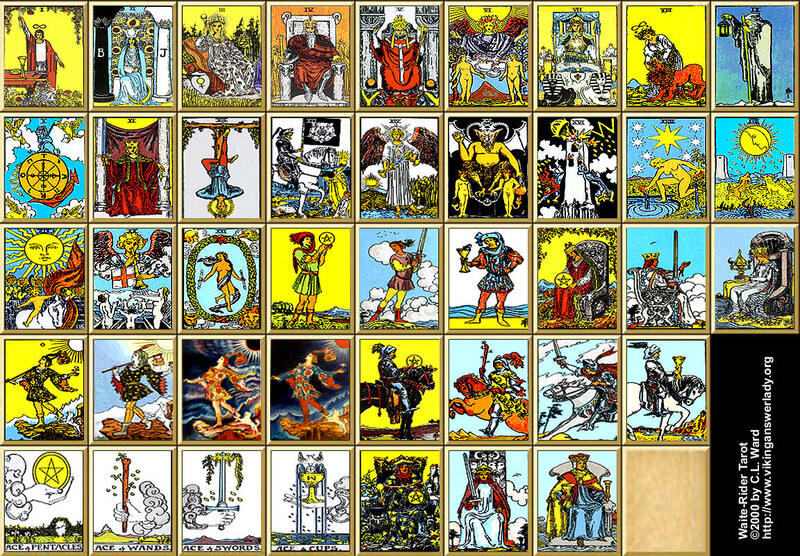 Continue with sessions 2 and 3 (held on two different dates) and learn how to accurately and easily read the cards and make predictions for the future. You will be practicing on your fellow class participants so that you will understand how to properly read the cards. Fun classes in which you will learn a lot of theory about the Rider-Waite deck. After the third session, you will be certified by Vikki Anderson in the Totally Tarot Method. Each one of these two separate sessions costs $80 per person and usually runs from 10:30 AM - 4:30 PM. Through the use of your birth date and the tarot cards, we will be able to come up with your karmic lessons in this lifetime that you must handle and deal with. They are very insightful and interesting and many students or clients agree that they were dealing with these issues their entire life. Some suggestions on how to handle these karmic lessons in a positive manner will be discussed. 2-3 hours depending upon how in depth you wish for me to go. $150 fee. Vikki has access to many professional, ethical and reliable readers who would be available for your corporate or business event. Holiday parties, picnics, and employee appreciation days are the most common events that have Psychic Readers. 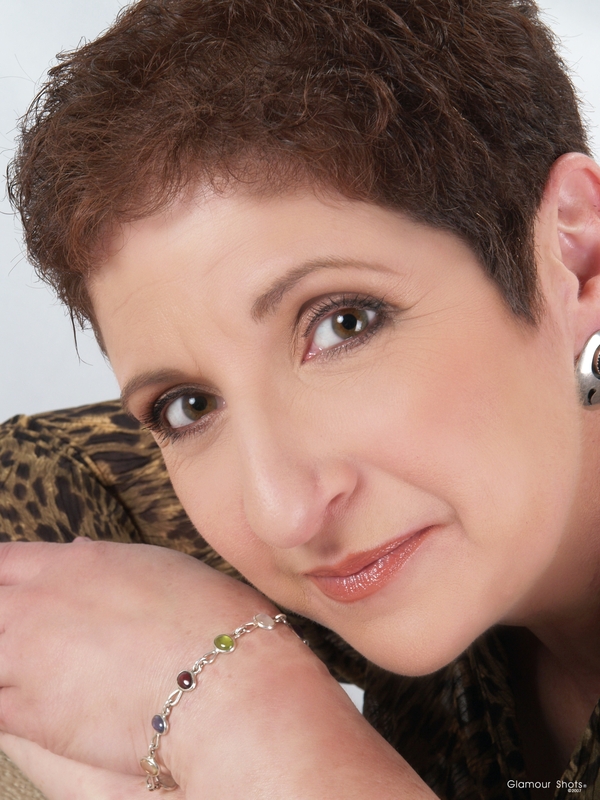 Vikki also has access to readers who do numerology, palmistry and handwriting analysis. The above price per hour includes transportation to and from the business location. Many people use readers at baby showers, wedding showers and weddings! Let your party be one to be remembered. Two hour minimum per reader. Hourly rate of $150 per reader per hour. Crystals are a wonderful help to those looking to amplify or decrease certain energies. Look under the crystal section for meanings of many crystals. Choose them with your left hand as that is your feminine side or the side in which energy comes into your body. The right side is the masculine side or the side that the energy is released from. Crystals should be energized by being put in a sunny window for three full days and nights. They need both the masculine and feminine energies from the luminaries (sun and moon). Crystals are like batteries. They need to be re-energized regularly. Simply putting them in a sunny window will do the trick. They will be fully charged and ready to help you whichever way they can. Check out Crystal Meanings page for individual crystal meanings.